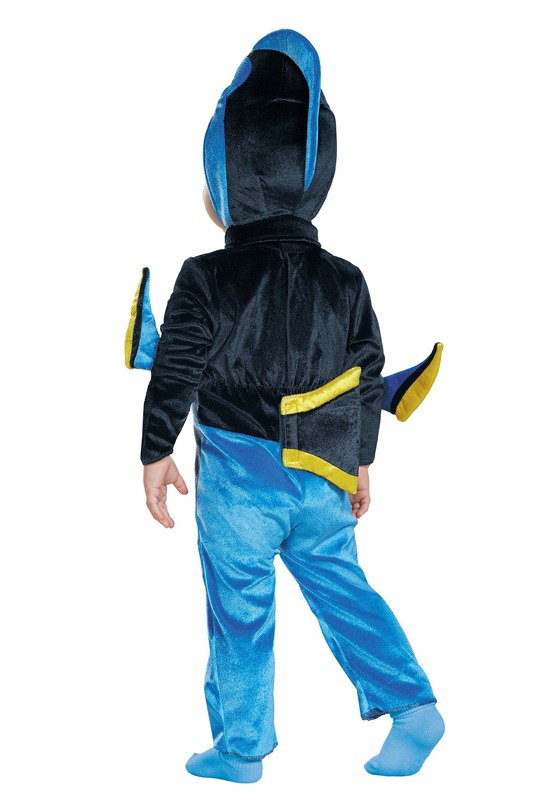 6/12 Months - $13.99 Only 8 left! We love our Pixar heroes. They have such great motives for going on their adventures. You’ve got Carl, who honored a wish he made to his wife by tying a million balloons to his house and flying it to the Amazon. You’ve got Woody, who realized the power of friendship after overcoming a bitter rivalry. Of course you’ve got Mr. Incredible, who put his entire family at risk because he wanted one more sweet taste of his glory days. And then you’ve got Dory, a little fish who can’t remember anything. Did you know that Dory can’t remember anything? We love that about her because we share the same affliction. Please don’t tell anyone though, OK? We’d hate to have it get out on the internet that we can’t remember anything. We’re just like that fish from the movie. What was her name again? Jaws? Whatever, the point is that we can’t remember anything, just like Dory. 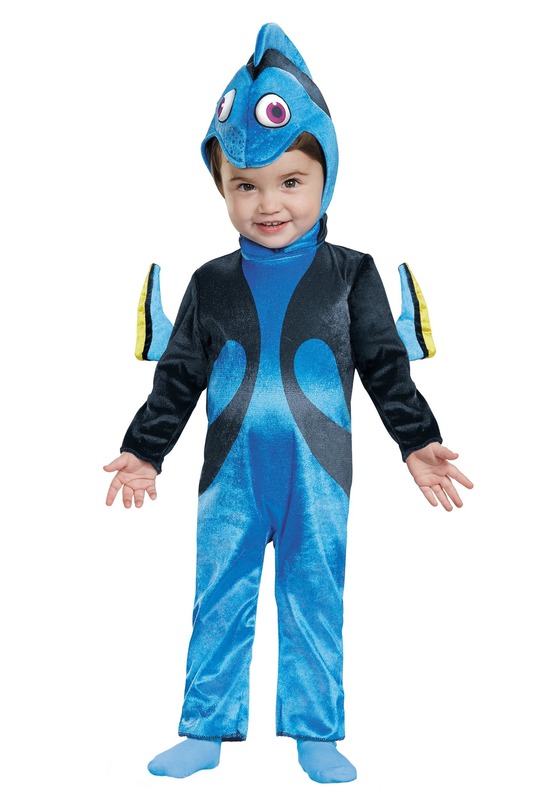 If your little fish watches Finding Nemo and Finding Dory, then they’ll love our officially licensed Dory costume. It will be easy to put on the little bugger because it fits just like a pair of jammies. Sturdy foam keeps the fins in shape, and the hood piece comes off in case your tot needs to air out their head real quick. Does a baby have the same short-term memory span as a fish? In all honesty, we’re just not sure!